I've decided to start incorporating regular book reviews into my blog - it's something I've wanted to do for a while now, and considering books were my love long before beauty, it makes perfect sense. One of my hopes for this year is to read at least 100 books, so, of course, writing regular reviews will help me to achieve this. The first book on the agenda? 'Before I Go To Sleep', by S. J. Watson. After becoming completely ensconced in 'Gone Girl' by Gillian Flynn, I discovered that there is a whole other genre out there that I'd really like to explore - thrillers. Therefore, I promptly scouted the Amazon 'people who bought this also bought' section and popped a few more thrillers in my basket - one being 'Before I Go To Sleep'. Now a film with the likes of Nicole Kidman and Colin Firth, I had high hopes for the book. The book is all about a woman called Christine who wakes up every morning not knowing where she is, after suffering an 'accident' many years ago. She can now only remember things when she's awake, and as soon as she enters a deep sleep, all that information is deleted. If you've seen the film Memento, it's a very similar concept. The story follows as you see her tackle her memory loss, meeting a doctor in secret whilst her husband is at work. Soon, Christine realises something isn't quite right, as she attempts to uncover the truth behind why she is the way she is. Because of the nature of Christine's memory lost, very early on in the book things start to get repetitive - as each morning Christine follows the same routine of finding out she doesn't remember, learning who she is, etc. etc. I found this quite frustrating in places, and it made the book quite a slow burner for me. It wasn't until towards the very end of the book that things really started to get interesting, and I'll admit I couldn't put the book down towards the end. In comparison with 'Gone Girl', well, there really is no comparison - 'Gone Girl' is much, much better and keeps the thriller element throughout the whole of the book, something which just seems to lie just below the surface with 'Before I Go To Sleep'. The concept behind the book is great, however, if you don't mind having to go over Christine's routine continuously - I found myself skimming over whole sections of the book (something I NEVER do) because it was all stuff I'd read before. 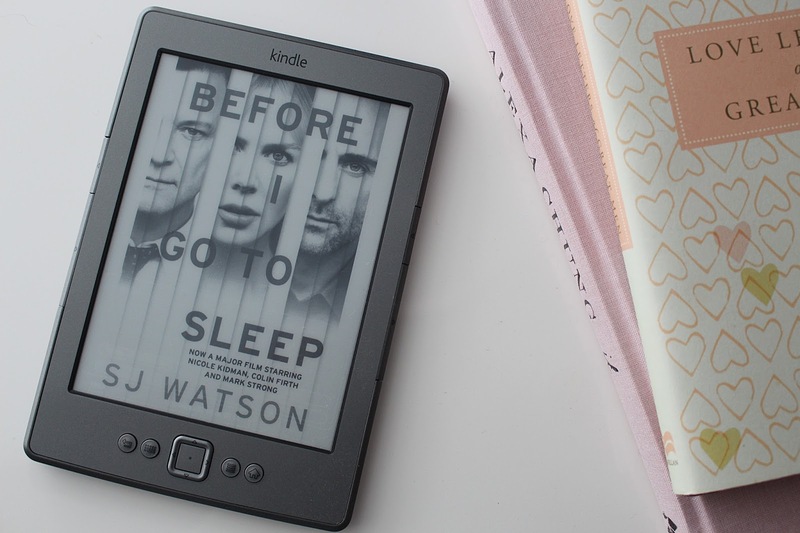 Overall though, 'Before I Go To Sleep' is worth a read if you're into thrillers/mysteries, just don't expect it to be the same calibre as 'Gone Girl. I'd give it a 3/5. Have you read 'Before I Go To Sleep'? What did you think?